The 5K match will be granted by Homebound Missions, thanks to all of you. Watch for it to be added to the Chip In meter soon. The meter is at 22K (exceeding what was required for the match by $1,300!) and a few folks have also donated by mail. We will get a total for the mailed in donations and let you know that soon. 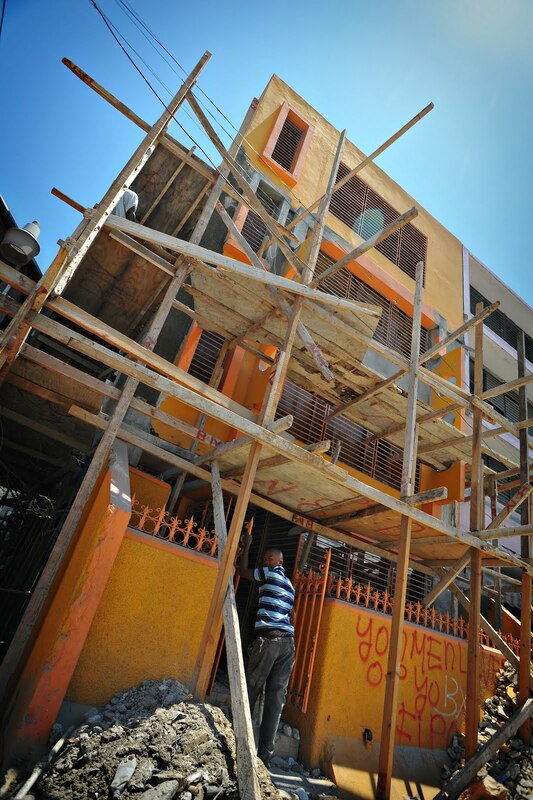 You have now donated enough to purchase 10 houses and 10 more will be given by Maxima. S. A. 20 Families will be helped ... please stay tuned for details on those families. If you would pray for them that would be even better. This process will take some time. 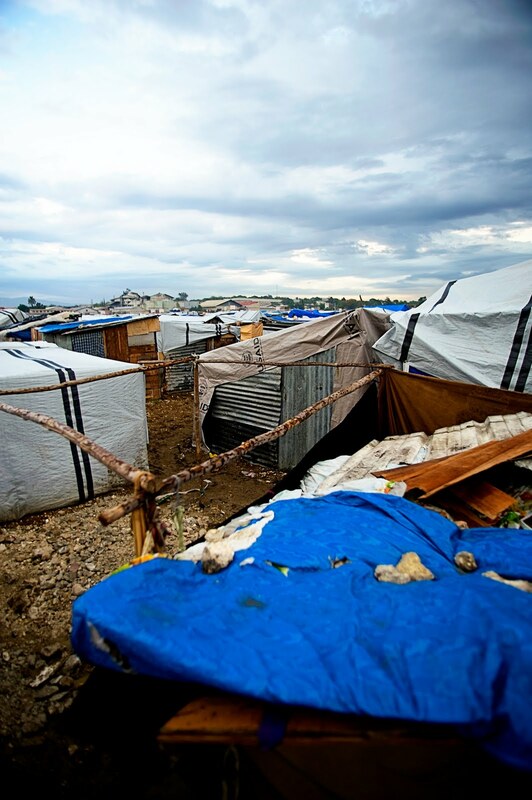 Identifying families and sorting out land issues will happen for the next 50+ days. By mid June we hope to begin to buy and build. We will be accountable to you and report in as they are purchased and built. Oh, and Paige also owes you all 13.1 miles on June 6th. :) She is preparing to keep up her end of the deal. If you still wish to help the house number grow, the chip in meter will be up and operational until June 10. Sometimes I wonder why it was that God thought we could handle 7 kids. Or 6 or even 5. I know someone out there is thinking, "You did not end up with 7 kids by accident - your planning (or lack-thereof) is how you ended up with 7 you idiot!!! I know this sounds ridiculous, but after the adoption of Hope and Isaac and that year and a half of having four children -- we don't recall exactly how the other three ended up in our house. Every mother has had an hour like this one - sometimes entire days go like this - thankfully we compacted most of the today's drama into one long hour. I arrived home from an intense counseling session fairly exhausted ... mental toast. I wanted to go lie down and rest but I began to try to connect with the kids. I plopped down in the middle of them. Paige and I chatted about the counseling while Lydia pushed and fought and tried to climb back inside the womb. Isaac told detailed stories about video games, Noah fretted about what was to come later in the day and Hope quietly listened. Phoebe had come with us to counseling so she had her needs met with full parental attention on the long car ride and the errand stops. She sat quietly listening too. Troy had gone to help Chris tow his broken down truck to the mechanic. Lydia began to play with my hair. Playing with my hair means in 14 seconds she is pulling my hair out from the root. I ask nicely, "gentle Lydie" - no change in approach. I ask nicely again "please be gentle" -- YANK, sharp pain from the hardest pull yet. I say "Lydia you are hurting me. Please Stop!" She screams bloody murder. Mad. This child hates being told anything other than "yes". I send Isaac and Hope and Noah out to jump on the trampoline. I try to get Lydia to calm down. I wonder aloud what you do with a two year old that literally will not receive correction without getting angry and screaming? Paige and I chat a bit and try to get inside of Lydia's head. What causes her tantrums and anger? I think it seems possible that God meant to send Lydia as an only child - but the day He made her He got really busy and sort of lost track of where He was in assigning personalities types, it seems likely He was in the middle of some sort of world crisis - and that caused a bit of a mix up. Some other family accidentally got a really docile, sweet, compliant child as their only kid. The rest is history. I settle Lydia down and cuddle with Phoebe for a minute. Paige gets ready for tutoring. Screaming comes from the trampoline. "What is wrong? ", my heart races thinking someone has been hurt badly. Noah says, "I am angry. They are teasing me. Hope is squeezing my shoulder." We talk it out. We discuss that Hope does not have the authority to discipline Noah when she feels he is out of order. 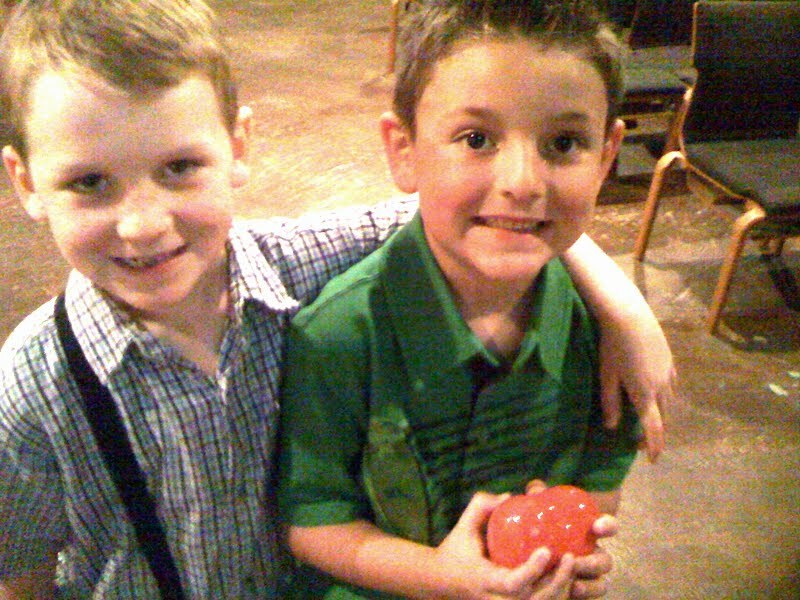 We talk about how much Noah wants to be like Isaac and that it is flattering to have someone look up to you like that. We ask that older brothers and sisters allow the younger brother some extra grace today, he is nervous about school. We calm down. Screaming comes from the house. Lydia has bitten Phoebe. I say to no one in particular, "You're kidding me right now, aren't you?" I break that up and scold one who is instantly enraged for being scolded and I kiss the other and tell her I am sorry. I change both of their diapers. I hear crying in the kitchen. Noah is going to a preschool program in ten minutes for the first time ever. We have been working toward this day for a year. He says he never ever wants to leave us. He says school is hard. He says the teachers will be mean. I ask him why he thinks that? He says Isaac told him there was a mean teacher. I assure him that the teachers will be so awesome and he will love it. He weeps quietly. I pray with him. I cry too. Troy gets to the house to pick up the kids that need to go to tutoring/preschool and off they go. I start dishes and laundry and think about how complex these kids are and how each one of the seven is so so so different from the other. I wonder if God had a lapse in judgment when he assigned this crew to us. I think about that Mother Teresa quote, "I know God will not give me anything I can't handle. I just wish that He didn't trust me so much." I mirror her feelings. I ask Lydie if she wants to take a bath. Her hair has some sort of lotion product in it and it appears that you could use her head to grease a cake pan if you want to. I run the water. She strips down and heads to play in the tub. I quickly try to finish the dishes. Phoebe comes to tell me she pooped. Poop would have been nice. What she produced was pure liquid, up the back and down the legs. I clean her up and wash her with wipes but she smells rank so I suggest she join Lydia. She happily hops in the tub with her little sister. I go to throw the nasty clothing in the with the load I had just started. I come right back to the bathtub to find Lydia dumping a cup of water on her head. The same water that Phoebe had apparently had her second liquid poop blow-out in. Pouring. it. on. her. head. I screech and scare both girls. I say "get out get out get out". We go to the other bathtub to have a new bath. 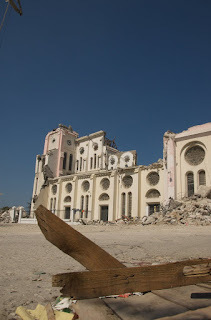 If you read this blog to read about Haiti. You just got punked. Check back tomorrow. Okay, so they have some work to do. In recent months I've been so encouraged to watch groups from multiple countries and religious backgrounds work together for the good of the Haitian people. Over and over we saw great cooperation with other medical groups. A beautiful thing took place as we worked together and attempted to offer the patients the very best options available. Sometimes that would mean bringing a patient to Merlin, a UK surgical group. 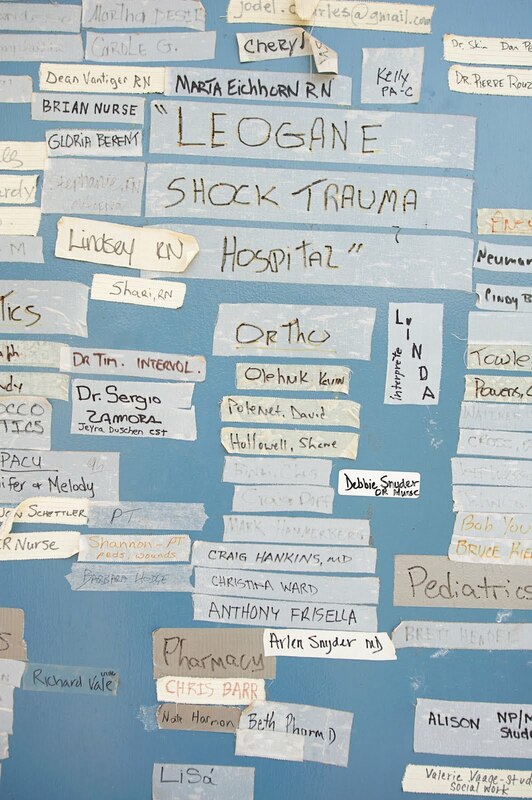 Other times it meant going to the Medishare/Miami Field Hospital to seek out their specialists. 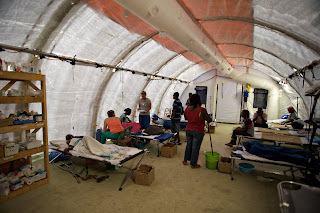 Many times we would help by taking the patients from their locations for a few weeks of recovery in order to allow them the space to take surgical cases from Heartline. It just worked. Rarely was there any ego or posturing. Multiple times a week I would stand back and listen to Dr. Jen compliment her colleagues on their work, always thankful for any advice or help they could offer, always willing to return the favor. It felt very special to be a small part of it and to be observing such unusual and inspiring cooperation. On the flip side I saw a lot of really gross egos doing really gross ego things. There were times when you could just tell you'd picked the wrong time to show up - some giant big-deal doctor would walk up and dismiss you with the flip of his wrist, letting you know that he had no interest in hearing about your patient. He was far too important for the likes of you. I get a stomach-ache reading that this stuff happens. I probably should not be surprised - but I am. 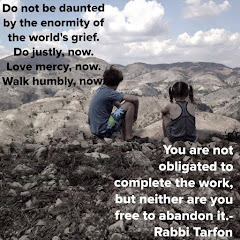 When helping someone becomes about you - your fame - your notoriety - your glory - your publicity - your ego ... it is time to find a new line of work. I am ticked that anyone would put their own desire to "claim" a person over actually helping the person. I would love the New York Times to do a follow up story on this. Truly serving people means you lay down your ego. We all struggle to do it at times. I don't think there is a person that has not wanted to be selfish at times or noticed a tendency to put their own agenda first .... but the true servants are the ones that do it quietly, without thanks and without publicity. There are hundreds upon hundreds of people quietly going about their business serving Haitian people by putting the Haitian person first. They don't have an agenda or anything to gain. These are the true heroes in Haiti. I am praying for them tonight. I am praying for the Dorothy Pearces of the world, the Pat and Melinda Smiths of the world, the Gladys and Henris of the world...and so many others. 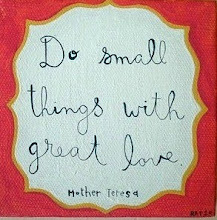 I pray that they continue to allow the unselfish love of Jesus to shine through them - and be an example to us all. Troy and John will be trying to identify the families that will receive the homes. Please be praying for discernment and wisdom ... so many people have legitimate needs and this will not be an easy thing to decide. Land is also an issue and it will be easier to give house to families that have a small piece of land to put them on. We are also exploring other land options for those that don't already own. It's been crazy to watch this all unfold so far. Already reaching the goal is a shock - and so cool! Thank you to everyone who has donated & also to those who have been praying. It' been amazing & I know it is not over yet. The reason that I chose to have the money that I try to raise go to houses - is that I will know some of the people the houses could go to. 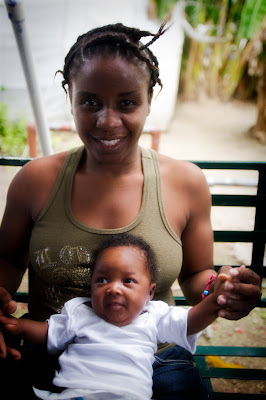 I get to help with the Women's Program twice a week and when we have a lady in labor I get to be a doula and help with Kreyol and a lot of those women have become my friends. I want to tell you about this - Homebound Missions is a ministry that helps out other ministries and they offer material and financial aid to other ministries on the ground. They call themselves the missionaries to the missionaries. Homebound Missions has come forward and are willing to do a matching grant for us. The grant they have offered is for $5,000. So I'm hoping to raise another 5,000 ( two houses) to get that big grant. If I can raise another 5K by June and they give me 5K (2 more houses) - that will be 4 houses we buy and 4 houses that my friends at Maxima S.A. will give us! 8 more houses as a result of raising 5K more. Right now the meter stands at $15,702. That is a lot of money! If you guys will help me to get to $20,702 then Homebound Missions will give the five thousand that they promised. Thank you to everyone who has donated & been praying. It means so much to me to know that so many people care about Haiti. We've just completed a weekend with absolutely zilch planned and not much more accomplished. Saturday Paige and I headed out for a run in the morning. As a newer runner she is doing a walk- run interval but getting stronger by the day and decreasing the walking portions. She hopes to run at least 80% of her 13.1 miles in June. I told her to adopt my plan -- the goal is to cross the finish line on two feet. There is no room for legalism. Not for us anyway. Cover the distance. Her cheeks turn bright red and her heartrate soars into the 180's as she works to follow the plan set before her. She asked me to be her trainer, I hope it does not prove to be the demise of a very solid mother-daughter friendship. :) She says, "No - I want to do this - sometimes you just have to remind me of that." When she gets home from Youth Group tonight she has some really cool news to share about a NEW matching grant. I'll say nothing more - she wants to tell you. I ran a few more miles than Paige and returned home to a somber Livesay tribe. "What happened?" - I asked. Troy gave me a look to tell me that I better not make a joke and said, "Hermie was found. Dead. In the toy box." The beloved Livesay children's pet- a Haitian Hermit Crab found on Wahoo Beach in November of 2009 and smuggled out of Haiti post earthquake by Vivien and Paige - died in Waco, TX of not-so-natural-causes. It turns out that if your hermit crab is left in the bottom of your toy box without water it will eventually fall out of its shell and perish. Let that be a lesson unto you. I tried to convince Isaac Hermie had a good run. What other hermit crab crosses the Caribbean by air and eventually becomes a Texan? Isaac was too sad to enjoy any of my dumb jokes. Troy organized a burial service and Hermie was laid to rest. It was all very lovely and crab-honoring ... until later that day when Lydia was bored and decided to try to unearth Hermie. Troy's solution to the sorrow was to announce a trip to PetSmart. Inside of PetSmart all Livesay children begged for dogs, birds, cats and any type of more legitimate pet. (One parent knew that would happen but refrained from saying "I told you so".) Not to be deterred, Troy kept redirecting their attention to the $5 Hermit Crabs. Lydia especially loved the rat running in the wheel and squealed with delight, "puppy, puppy, puppy!!!" Yes Lydie, that is a sick little rodent puppy with a long nasty tail that chews in the night and makes sounds that cause your spine to tingle. The kids pushed hard for a guinea pig or gerbil. Troy made generalizations and blanket statements about what types of people have rodents for pets. Some stereotypes are based in reality he said. And now we've offended a new group of readers. We left the store with two crabs ... Zero rats, gerbils, or rat-puppies. Because he hates having his hair picked out, Isaac has let his dream of a large afro die (so much death) - so we went to get a haircut on Saturday. I flat out asked the guy on the phone "Do you know how to do 'black' hair?" I even went as far as to say, "I don't expect that you do - that is why I am asking." I must have caused him to let pride gain the upper hand because he said "Oh, I am certain I can do it." We will go tomorrow to have a black man repair the damage done by Mr. "I am certain" white guy. Today we went to church, had our friend from Haiti over for lunch, tried very hard to carry on conversation and remembered that entertaining with children is not easy, fun, or wise. Noah wouldn't let Troy talk to our guest ... he loves the sound of his own voice so very much. After the guest left the kids got a lecture about interrupting, monopolizing conversations, being rude, and acting like ... children!! It reminded me of the time I lost my temper at Noah and said, "Noah Matthew, you are acting like a four year old!" A little voice came from the back seat, "But - I am fo-ah Mama." It is tuck-in time now and I must be sure the crabs and children are accounted for and mostly clean. In the background noise of my head I'm continually praying for and thinking of Haiti while simultaneously trying hard to just "be" here and enjoy silly moments in PetSmart and awkward moments in hair salons and just cementing these memories we're making in Waco, Texas. The woman pictured above is Marie Rose. She is a beautiful lady, a woman of great strength... a mother, a daughter, a friend - A courageous and tenacious Haitian woman. Here she stands looking at what was once her home. The home to the left of hers still stands. On January 12, 2010 at 4:53 pm she was walking on the street not far from her home near "La Ville" (downtown). Her four children were home, in a second-floor apartment she rented of a three story building. The earth shook. For 45 seconds the ground trembled with great force. She ran home as quickly as she could. There she found that the building she called home had collapsed and her four children were buried somewhere within the fallen cement blocks and contents of the house. Time stopped. Marie Rose felt and experienced unimaginable thoughts - things most of us will never ever comprehend or experience. With the help of neighbors she was able to locate her youngest child Emmanuel, her three year old son. He had suffered severe facial injuries. Her other three children were unreachable, lost in the massive pile of cement, re-bar, and rubble. The choices Marie Rose had for recovering her other children were non-existent. The man-power to move large blocks of cement did not exist. She had to make a choice to focus her attention on finding Emmanuel help. She had to walk away from three of her children - she had to make that choice uncertain if they had passed away or were possibly still suffering. Emmanuel eventually found help on the USNS Comfort Ship. It was on the ship that his first surgery took place. Emmanuel was discharged from the ship into the care of Heartline's volunteer medical team. He has been at the Heartline Field Hospital for several weeks now and has had at least two plastic surgeries to continue to re-build his nose. "Pulling up in front of the house, Dr.Jen and I sat quietly as this usually amazingly upbeat woman looked at the fallen house and then looked straight ahead as she took several deep and agonizing breaths, before she got out of the truck." The neighbors, who clearly knew Rose Marie, stayed back until she approached them. It was not until she approached them that they asked about Emmanuel. "Is he alive? Is he okay?" "She tentatively climbed up and onto the rubble that was once her home and now was the place where the dead and decaying bodies of her three children still remained. The rubble had already been gone through by people looking to take whatever they could find and scattered among the cement blocks and steel were clothes, broken plastic chairs and a broken TV and not much more. I glad that the mama didn't look deep into one of the crevices and see the withered arm and hand that we saw in a hole among the blocks. 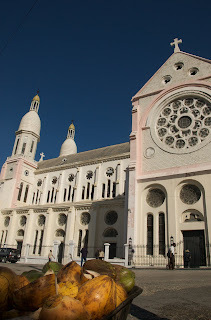 The entire body could not be seen as it was buried beneath tons of cement blocks." "It must have been a helpless feeling as there was nothing in the debris that could be reclaimed. She had lost or had stolen from her everything of value that she had in the house. No pictures, no special items of sentimental value." Marie Rose lost a lot on January 12th, 2010. She lost her apartment, her place in this world. She lost three beautiful lives, her flesh and blood. She lost every single "earthly" possession that she had worked to acquire. She lost her sense of "normal". She lost friends. She lost her very way of life. 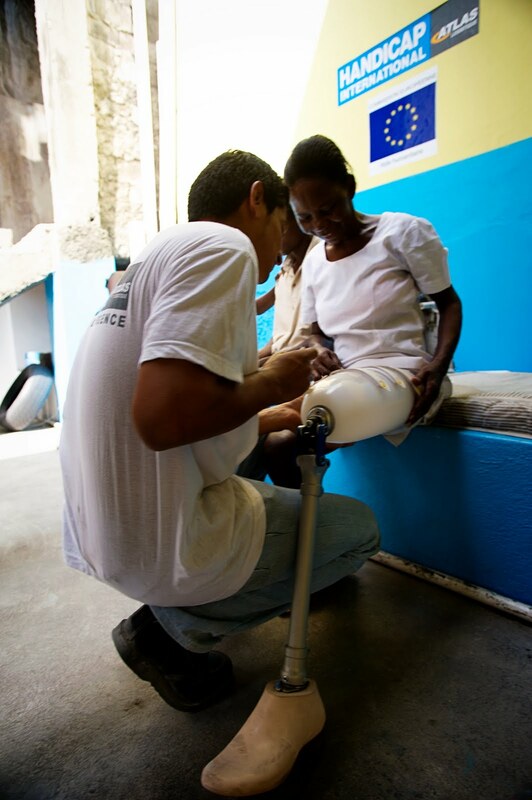 In spite of all of this loss, Marie Rose lives on to support the healing of her son Emmanuel. Marie Rose lives on to thank God for what she still has. We've seen her do that each night as the patients share in a time of prayer and singing together. Marie Rose lives on with many questions about the future. She lives on as an example to us all of what resiliency and strength and unexplainable peace might look like. Marie Rose is one story out of thousands. We have much work to do to try to find a piece of land to help Marie Rose rebuild. Marie Rose has much work to do to continue in raising her son and healing the deep pain of so much loss. There are things we can do for Marie Rose. We can pray for her. We can ask God to grant her on-going strength and miraculous provision. We can also give of our resources. We can be obedient and generous and find avenues to donate to help rebuild lives and homes. You might have noticed in the previous post from Paige, she posted a goal that she thought was somewhat balanced between challenging and obtainable. Thanks to the generosity of good people, in 30 minutes the goal was reached. :) So -- maybe not such a challenging goal after-all!?? Since then a lot more has come in. Paige is totally excited, thinking that twice her original goal is very likely by race day, June 6, 2010. She is going to leave the goal the way it was and just see what happens. Please consider sponsoring her even though she is over 100% of goal. The neatest development of all has been an offer made by Maxima S.A. They have offered a house for house match. This is a factory that had been producing products and employing people for a long time - they are in Haiti - and now, post- EQ they are producing pre-fab houses. 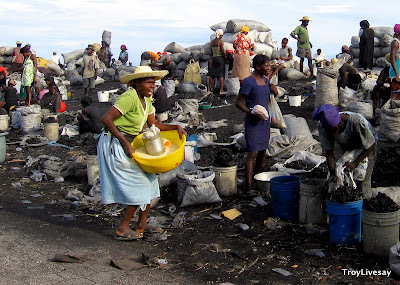 They are creating many jobs by doing all of the work in Haiti - you may have seen them when former Presidents Bush and Clinton visited their factory a few weeks ago. For every house you raise money for, they will give you a house for FREE. We are linking you to their site to see what the houses look like. We are estimating that each house will cost $2,500. For every ONE house that Paige can raise funds for, Maxima S.A. will give her a house! 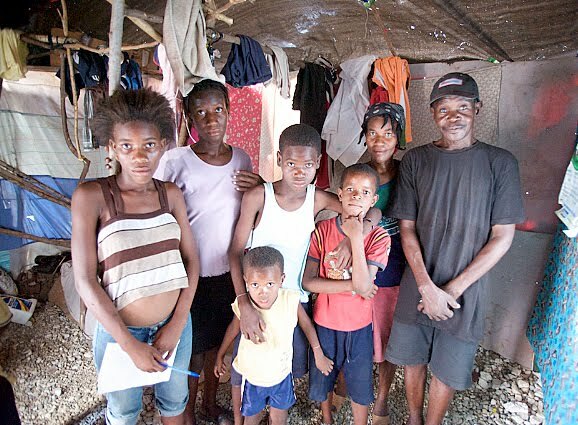 As of the posting of this update - WITH YOUR HELP - Paige has enough to purchase FOUR homes and Maxima S.A. will GIVE her FOUR more -- Eight Houses and Eight families helped. We're really excited to see where this goes. Amazing things have happened in less than 24 hours. Thanks for joining in and not only encouraging Paige -- but more importantly, helping the people of Haiti begin to rebuild. We will keep you posted as we're able to identify the families that will be receiving new homes. A link to the Chip In Meter for Paige's race is also being added to the left side of this blog. Thanks for chipping in! Troy and I are in Houston with five of the kids. Britt and Chris are caring for Lydie in Waco. We don't often write about it, but of our children Phoebe is the only one that has consistently shown some signs of attachment challenges. It is so interesting because she has been with us since she was just ten weeks old. I've been reading more and more about the damage that can take place even in the womb during stressful pregnancies and the bond between a mother and a child is very real and something we cannot understand or fully grasp. Phoebe has residual hurts. Whether that stems from a stressful pregnancy, being left in an orphanage, or something else all together ... we cannot know. I love her and celebrate moments like this weekend when I see her blossoming and trusting and so so happy. I pray for healing in her little heart and that we can be for her what she needs us to be, both today and tomorrow. I wish it was a perfect happy world where the need for adoption did not exist, but we all know we're a long way from that world. In the United States and all around the globe children are waiting on us to respond. Adoption is not easy. The process itself is incredibly difficult and painful. Helping children heal can be a horrific thing to witness. But - I don't think that changes anything, I still believe we are called to respond. Adoption is both complicated and beautiful. Each of my children are wonderfully complicated and beautiful. I grieve that my children spent 14 months, 9 months and 10 weeks institutionalized and largely neglected. I know that hurt them and is a permanent part of their story. But I rejoice that love heals many wounds. I pray for children waiting in institutions. No one will ever convince me institutions are an okay place for children. Every child deserves an opportunity to be cared for, cherished, loved. Aaron Ivey is a good friend. Paige loves this song of his about adoption and it has been playing (blaring) at our house a lot these past few weeks. Every time Isaac hears it he says, "Mama, this is that song about fighting to get us home - right??" He loves that image of being fought for ... I do too. I have a Father who fought for me, and continues to fight for me. I want to do the same for my children. Enjoy it - (it's awesome) and please, pray for the millions of children going to sleep tonight with no mommy and no daddy and no one to make them feel special and loved. Kim and Patrick are friends we love and respect ... we hope you'll read their thoughts and pray for their family. 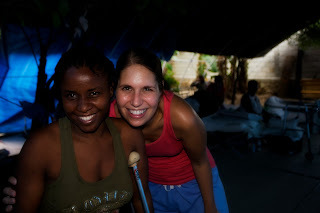 Read Liliane's story on Dokte Jen's blog. If you're in Houston, TX we'd love to meet you Sunday at Ecclesia Church. Troy's travel back to Tejas was smooth and uneventful. Thanks for the prayers. April 15 - tax day is now a distant memory. For the fourth year in a row, the Livesays have filed for an extension. We are nothing if not consistent. This is a photo of a family. A beautiful, strong family. A mother, a father, and five of their six children. The oldest son is 24 and has gone to school. He is their hope for a better future. When he comes home from school he will join his mom and dad and brothers and sisters in a "home" with "walls" made of sheets and a "roof" made of woven banana leaves. They might be able to cook some rice for dinner. They don't eat dinner every night. They need to be careful about their food and charcoal supply. If tonight is a night to cook, to eat, they will step outside of their "home" and cook in a large pot over charcoal just outside their front "door". If their neighbors need food, they will share. When the sun begins to go down they will whisper to one another by candle light as they lie on thin mats placed on top of the rocks. Throughout the night the rain will fall and the sheets will be blown by the wind. They will move things around to try to avoid the steams of water that run through, under, and around their meager belongings. As hard as they try, they will not rest, they will not sleep. The sun will rise, a new day will come, and they will survive another day. 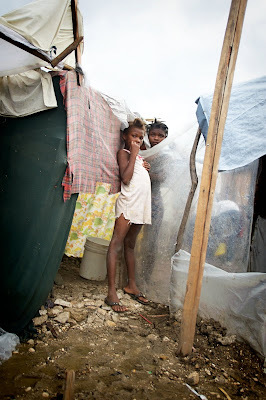 Words fail to describe all of the thoughts and feelings I have as I prepare to leave Haiti again tomorrow morning. For those of you following along in our story I know you can understand. Thank you for your prayers and encouragement and support through all of it. - The gas shortage and rationing could become a problem soon - so far it hasn't made a big impact other than limited supplies and long lines at the stations and some reports of price gouging. This seems small in comparison to what most people are facing here just trying to survive and stay dry from day to day. - The traffic situation is beyond bad as one tries to navigate around town and get things done...but then again it has never been very good. To-do lists usually need to get cut in half in order to be more realistic. - The people we get to work with at Heartline are among the best I've ever known. I will continue missing them while I'm away. - I met with two families today and saw the broken homes they left behind and the shacks they've constructed to replace them and heard their stories. It was amazing, shocking, and at the same time encouraging. We plan on sharing many of their stories in the future - as they deserve to be told and I believe the people here need a voice that goes beyond the sound bytes and governments and show business. - I am more and more convinced that the Haitian people are beyond measure in their tenacity, resiliency, ingenuity, and strength. Imagine if these were the choices you had. One tent to the next. I am not being critical, I am just sad for them. We were discouraged. We'd lost our physical therapist to a family emergency, and our patients appeared unmotivated without his constant encouraging presence. Moods were low. Apathy was setting in. 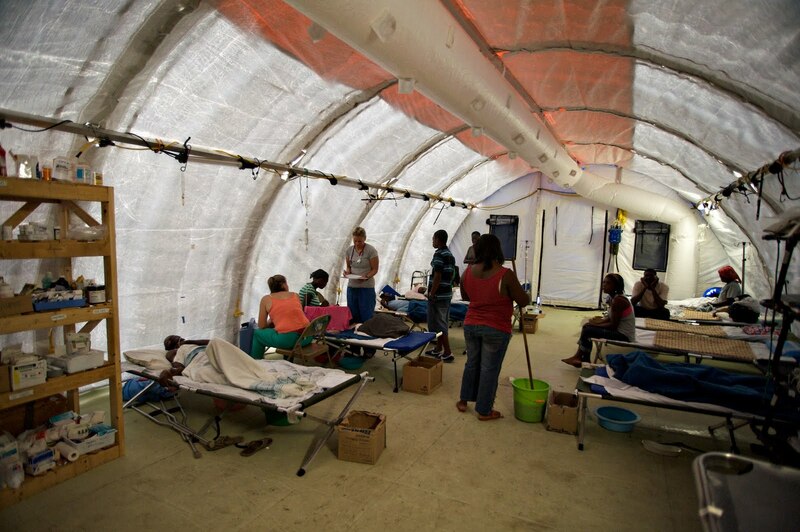 Oppressive heat overwhelmed our tarp covered courtyard hospital. Little six year old Dina, now in a walking cast from her open tib-fib fracture, refused to throw down her crutches and bear weight on it. Afraid. Lillian, 10 year old with an externally fixated femur fracture...crying with each episode of physical therapy, more and more fearful of the pain. 59 year old Leeann, lying stoically in bed 23 hours a day, not exercising her healing leg -- going backwards in progress. Our 76 year old below the knee amputee Genine, needing to learn how to walk again, having a difficult time even standing. 20 year old Amanda, with her paralyzed left arm and shattered left leg, lying sadly and disinterested in her cot, staring blankly into the distance. We'd hit a stumbling block. "We just need to get them MOVING..." one nurse said. "Maybe we could get them to do PT together..." someone else said. "It needs to be fun," someone else said. And the idea spiraled. It started from the knowledge of the perhaps little known fact, outside of our hospital, that our Haitian patients have innate and amazing rhythm. And soul. Every night, they sing and clap and stomp together in song in impromptu mass that goes on sometimes for hours. Rocking the house. Rocking the neighborhood over the cinderblock walls, beyond the plastic tarp that is our roof. And then there was the film "Madagascar," which has been shown here at night projected on a white cotton sheet against the wall. A Disney film in French, about shipwrecked zoo animals landing in the wilds of Madagascar with a bunch of lemmings who break out into fabulous song, singing a hip deep base beat, "You got to move it, move it. You've got to move it, move it. You've got to move it, move it...MOVE IT!!" Nothing more fabulous than to watch heads start to bob and hands start to sway to the rhythm as all of the patients start to sing along to the beat. It became obvious that our patients have rhythm. "Let's make them exercise to "Move it!"" recommended someone else. We all laughed. Then someone said, "No, really!" So, somehow it happened that we pulled out the electric sound system used to project movies on the wall at night. And plugged it into Dr. Jen's computer. A quick search of her ITunes files revealed a great assortment of deep beat, hip, rhythmic dance tunes. Including the song, "You all ready for this???!!" -- normally danced to at NFL halftime shows by cheerleaders in skimpy tops and pompoms. We walked around to each patient and said, "In a minute, we're going to turn on the music, and you will do your PT." Some patients were assigned a helper. Amputees were given the task -- stand and balance on your strong leg, and try to squat up and down. Bilateral casted patients -- stand up with your walker and balance, then sit back down. Young Dina, who refused to walk without her crutches...when the music starts, you will walk on your cast...with one crutch, not two. 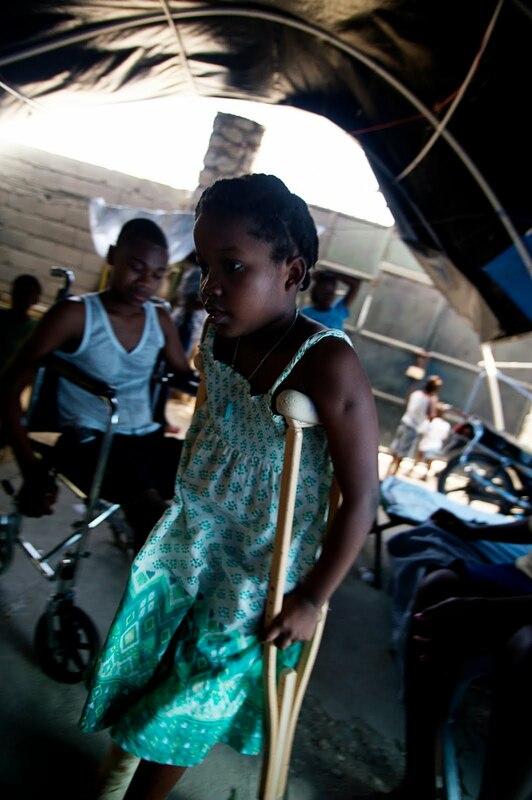 Young Lilian, who starts to cry at the idea of physical therapy -- you will stand with your crutches and walk around. Each patient assigned a task. They all looked at us curiously, a little dubiously. A little apathetically. A generalized look that shouted, disinterestedly, "Ok, whatever..."
But then, the magic happened. This was no circus music. No elevator music. No polka or grandma's parlor music. This was raging urban hip hop, rhythm, with wicked base and deep musical soul. Yes, this music required apologies to the neighbors over the cinderblock walls for its volume. Yes, it perhaps shook a bit of dust off the walls. Yes, it was played like your car stereo when you drive speeding down the highway with the volume cranked, bass turned all the way up. Because on the count of three, when Renauld our interpretor turned DJ hit "PLAY", at two in the boring afternoon at our Haitian Field Hospital, he literally rocked the house. "YOU ALL READY FOR THIS????" the song called, followed by the deep rhythmic beat of sound. Sound which suddenly forced patient's eyes open, pulled giant smiles from their mouths. Heads began to bob. Feet began to tap. Eyes afire with life as the sound system blared its rhythm across the courtyard. I helped our 76 year old amputee onto her one leg. Her shoulders started to sway in rhythm. A smile crinkled her aged, wrinkled cheeks. 10 year old Lillian, afraid to stand, threw down her crutches and danced with her hips swaying and arms undulating rhythmically, balancing crutchless for the first time. Dina marched to the beat on her casted foot. Amanda lay in her cot, brilliant smile, rhythmically rolling her shoulder to the beat. Song after song, shining smile after smile. 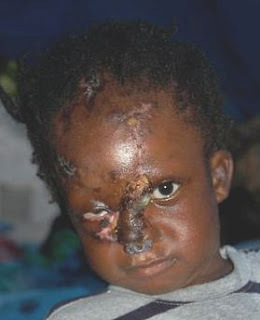 Little Emmanuel, 3 year old boy with the crushed face, stood in the center of the courtyard and danced. Smiles and rhythm of joy. Old and the young. Nurses and patients and translators and visitors. Rocked the house. She's sad. Her name is Nadia and she has been coming to our prenatal program since the earthquake. She is striking because of her tiny form, barely one hundred pounds and her skin is swirly shades of light and dark. Zebra like almost. At first glance I wondered if she had been burned, then I thought a fungus, then I realized it was neither and I have no idea what this is. When I questioned her about it she said her dad cursed her mom with a voodoo curse when the mom was pregnant with Nadia and she has borne the consequences with her stripped skin. Being an albino, handicapped, or different looking is indeed a curse in Haiti as folks can be unkind. 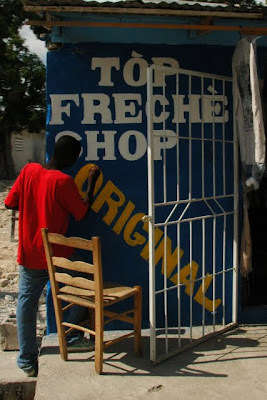 Haitian folks often state the obvious. "You're fat" they may state to an obese American. Like we don't have mirrors and needed the reminder. People are often brutal to the broken, the different, the lame. Now we have thousands more due to the earthquake. Nadia had been coming weekly for her check ups. After her last check up she hung around the door refusing to leave. She said she was waiting for a friend to finish up - the friend finished and left. Nadia was still standing there - waiting. Nadia was needy, lost, young, and hurting. At 21 she is a single mom going it alone. Seems very alone. I got a middle of the night call the other night from Jonna. Nadia and two men were at the women's center gate with a baby and placenta wrapped in a dirty blanket. Mom had delivered in the street on her way to us. The men, neighbors, were very helpful, dropped them off to us and left. Jonna wrapped baby up nicely and started on postpartum care. I arrived as quickly as possible and joined in on her care. Nadia is extremely anemic, was dehydrated and needed an IV. She panicked and refused so vehemently that it made the drip impossible. I wondered what had caused such fear. Such irrational fear even when I explained how much she needed it and it would only poke for a second. No go. After 12 hours of care and no guests a Tap Tap arrived to take her home. I was finishing up vitals as the horn kept beeping causing her to speed out the door. The driver didn't seem patient about a new mom trying to get down a flight of stairs with a newborn. So, where's home I ask. She lives in a field under a tent made of sheets. She has another child with her and another in an orphanage somewhere. Baby seemed fine, mom seemed okay so off they went in the dirty Tap Tap to a squatters field. That night I woke up with a start to the sound of pouring rain. Not just a little rain but a soaking, muddy, fill the streets with huge puddles kind of rain. I thought of Nadia with that unnamed newborn in a tent made of sheets. I felt sick. Jonna and I had given such good care, wrapped him in new clothes, new blankets and now he must be soaked. Sure enough Nadia showed up for her first postpartum visit. She looked tired. Silly me asked if she got any rest and she said no, she stayed awake all night protecting the baby. From the rain I asked? No, she said, from the werewolves. Oh. We gave her a tent donated from one of our visiting nurses. Waterproof I pray. We gave her money and sent her off again as baby and mom seemed sad and weary but okay. Back again she comes for her second postpartum visit. This time she is sick, complaining, crying and has a fever. Over to our hospital she goes to the tender care of Jen and Barbie. This time we have gained enough trust that she submits to an IV although not without much drama and wailing. Djenie and Kenny are her roommates. They are back, not because they need to be - because they want to be. Djenie loves having roommates to snitch on if they are not breast feeding enough or breaking some other rule. Often ones she breaks herself but when busted for that she just giggles. Nadia melts into her cot, goes to sleep and maybe finds some rest from her waking nightmare called life. 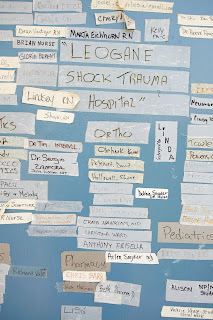 Our hospital is made up of this odd mix of wounded and sick people. We watch them morph into members of a community socializing, being silly and enjoying themselves. They drink in the nightly church services the Haitian pastor brings. The kids do puzzles, tease the nurses, and beg to listen to I Pods. Hopefully this will happen as Nadia's body heals so will her soul. A fever might have been the best thing that could happen to her because it brought her to our hospital. I pray as her body heals her spirit will open and she will find healing at our hospital, our place of refuge. Jesus always touched the Nadia's - the beaten down and lost is His specialty. Darkness to light. Brokenness to healing. From terror to safety. God does all those things - I pray we will see them in Nadia. We're all so thrilled for Troy to be able to spend a week "home" that we're not feeling sad or missing him (yet). Hearing his voice on the phone was wonderful because I could actually hear contentment. :) Also, not one tear left my eye saying goodbye. My friends will read this with skepticism, I am telling you, I did not cry. Believe me. If we're here for a long time, we might need to get good at this saying goodbye to Troy thing and I figured we may as well start strong. Isaac, Hope and Paige continue to get tutoring four times a week and are all about 2/3 done with the Math catch-up they needed to do. They are doing great and working hard. Paige is thinking she'll take a writing class (Mrs. Hersey will be happy to read this.) next. The three of them will hopefully be back at the English speaking school in PAP this fall and Noah will join them to start Kindergarten with the famous Mrs. Ackerman. (Only if we can convince him staying home with Mom and Dad forever is not a real option). While here it has been a very good decision to do tutoring rather than dumping them in traditional school. After all that has changed for them in 2010 another huge adjustment felt too daunting. We came very close to putting only Isaac in - and then changed our minds. We're glad we did. He would have done okay, but it is just nice to have them all on the same schedule. Of our kids he has the most confidence- obnoxious confidence some might say. Case in point, today he walked into the YMCA childcare center after many, many weeks away and loudly asked the entire room, "Remember me? I've been here before." As if everyone should know him - the famous one that he is. Paige and I cringe and laugh. Yes Isaac, everyone who meets you remembers you. Forever. So, our days are filled with playing outside, reading, fighting with siblings, attempting to damage* the beautiful home we are so generously being loaned, visiting local parks, fighting with siblings some more, and then at 3:30 the biggest three go to tutoring until 6:30 and the little three go for a long walk with Mom. It is a little bit weird to figure out a rhythm to this but we're working at creating routine without creating a lot of expectations. Troy will be able to travel "home" again in May. I don't feel all that resentful sitting here in April, but I cannot yet say how I'll feel in May. ;) Jeronne would love for him to bring a kid or two home to see her but the airfares are stinkin high. Lydia talked to her on the phone last night, it was very cute. Jeronne cooked the full Haitian meal for Troy to welcome him back. The boys were indignant asking when they would get to eat picklese and *her* fried chicken again? 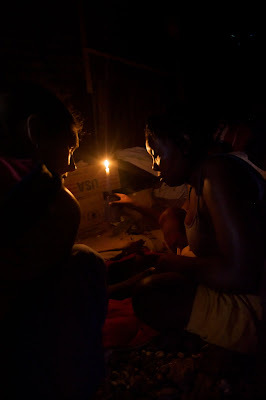 Check out this post on AC's blog from a World Vision Staffer. Good read. Or check out Gwenn's thoughts about adoption. I love adoption. I would love for it not to be necessary, it would be great if the world were full of in-tact families. but until that happens, I liked what Gwenn wrote. *To the generous Baptist Church - please don't read this. I had the amazing privilege of escorting some of the Heartline hospital patients to a rehab clinic/prosthetic lab run by Handicap International today. It was awesome to see the culmination of cooperative efforts between Heartline, Merlin hospital, and Handicap Int'l resulting in new life and hope for these patients. Emmanuel is twenty years old. He was trapped beneath the rubble of his home for three days after the earthquake on January 12th. 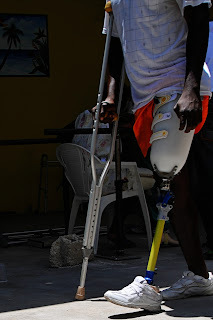 He was brought to Merlin Hospital - run by an organization from the UK - where he had his leg amputated and multiple skin graft operations performed in their makeshift field hospital set up on a tennis court. 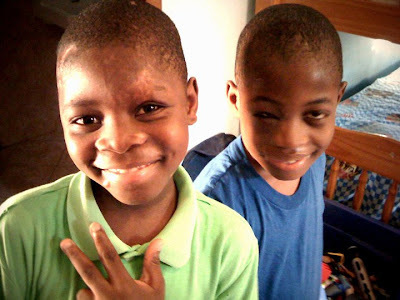 Emmanuel was transferred to the Heartline hospital for after-care and physical therapy. 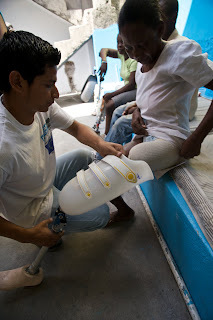 Today he was fitted for his new prosthetic leg by Handicap Int'l. On the way home from our appointment, we passed by the remains of the house he was trapped under, and then he proudly pointed out the place where he used to attend high school. Much of the rubble has been removed from the site - and all that remains is a singular wall with blackboards from a first-floor classroom. There used to be four more stories above this one. Afternoon classes were in session when the earthquake struck, and the neighbors we visited with confirmed that many of the students were trapped in their classrooms and died in the building. While we sat in the truck looking at the scene, the other patient in the truck with us broke the silence and told Emmanuel, "God spared your life." As soon as I sat down and tried to write out some of his story, I realized that it is way to powerful and huge for me to capture with the written word. I know I am not doing it justice. And I know that in this life there most likely will never be justice for the thousands still suffering in the aftermath of this disaster. I was humbled by Emmanuel's strength and encouraged by his hope as I got to know him today. It is SO GOOD to be back in Haiti. The rain has ceased for tonight. 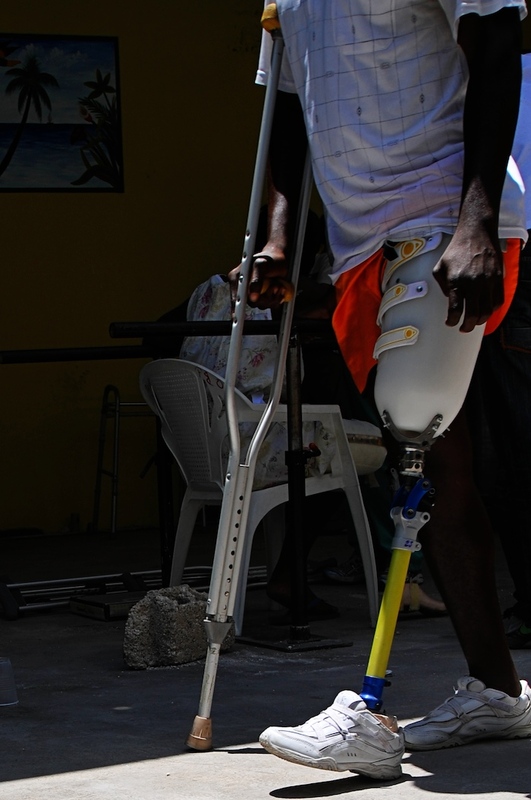 The plans are in place for tomorrow - I am blessed to be able to take two patients from the Heartline hospital to have their prosthetic legs fitted and attached by Handicap International tomorrow morning. If all goes well I may also get to head out to the World Wide Village hospital site at near the epicenter in Leogane...if all goes REALLY well I am hoping to check in on our friends and pastors at Ebenezer in Petit Goave and hope to see Collette and baby Ester. If it doesn't work out I may try again on Friday. I flew in next to a priest from Boston so I was able to brush up on my translating skills for my reunion with the McHouls. - Jeronne and Tipap and Jenny are happy and doing well and we had a great time catching up. - Dr. Jen, Barbie, Beth and crew continue to do an amazing job caring for and loving on the patients here. - Things might be coming together to get Amanda to the US for her medical treatment. - Peanut the mastiff is still a total lard and smelly, but very happy to see me. - Enjoyed a great meal with the current Heartline team. - Got to tell Tara about my new title. - John still has not cut his hair. I already wish I could stay longer this time around. 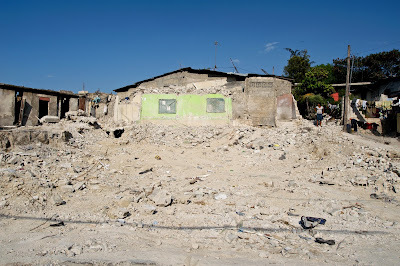 I spent yesterday feeling hopeful for Haiti. Not because Haiti needs me to feel it. Because I need to feel it. I know a world without suffering and pain is most probably impossible this side of eternity, but I still have hope that less suffering and less pain and less injustice is possible. I want to remain rooted in hope. 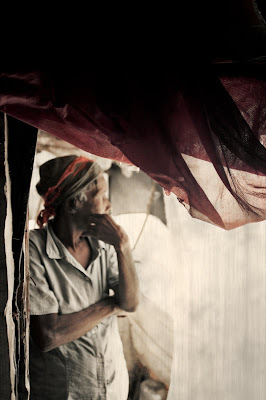 I want to believe I might live to see Haiti healed. Africa healed. Asia healed. Mississippi healed. Waco, TX healed. But, especially Haiti. It took more than two months, but the kids are finally asking to go home. I thought we might never hear that from Isaac, but when he heard his Daddy was going to be heading to Haiti he was sad he wasn't invited. The kids have been in TX 11 weeks now. I'm at 6 weeks and Troy's at 8. But who's counting, right?!? ;) We've done all the things we wanted to do and we'd love to take our memories and head east to an intense and steamy island in the Caribbean. As of the moment, no date to do that is known. I could still be saying that a month from now. Beth reminded me today, God is in the waiting. We used to try to say that to adoptive parents at times, many times causing hurt unintentionally. God is in our waiting. I just looked at the report of our monthly sponsors and a lump rose in my throat as I saw that none of our support team have decided to bail out on us. There is something so uncomfortable about sitting here while being donor supported to work there. I know most of this team of people are reading. So- Thank you. Thank you for standing by us during this weird and unpredictable time. Thank you. I don't know why we get to experience our needs being met while others don't. We're so grateful for provision and shelter and so aware of those who have neither. You are wonderful and patient and giving. Thank you. As a parent, I realize the longer this goes, the more of an adjustment we face back on the other side. We worry about losing our ability to sleep in 98 degree heat or to be fine with a very basic and sometimes boring diet. We might lose our ability to recognize Malaria two hours into the onset of symptoms. What about our skills of contentment while living without constant entertainment choices and exciting social options at every turn? We had that way of life mostly down. What if we get soft and wimpy and way too used to all the yogurt and apple and potato chip varieties? What if we build up an addiction and dependency on liquid creamer in our coffee? Unless you remove yourself from it maybe it is hard to recognize this, but our society seems to make even a very focused person tend toward ADD. Churches now have jumbo-trons and the multi-media presentations are a major part of a service. There are competing sources of entertainment at every corner. I know, I know, you're used to it. But we're more like dopey puppies with all of the stuff coming at us all the time, look here -ohhh no did you hear that?, look there, but wait, I think I smelled something, look there. Oh,OH we should try that! Aaahh! And I thought Port au Prince was sensory overload. The truth is, I am afraid of forgetting what matters. I'm afraid I'll allow my priorities to get skewed. Not that long ago I was driving a two year old car and wondering how I could find a way to get a newer, flashier, better car. Not that long ago I did not consider the suffering outside my front door. I just didn't. If it is not in my face, will I forget? A while back some guy wrote us and asked if we "still hate America now that you are here enjoying all it has to offer? " I recognize that when so many strangers read what we write that a few will decide things about us and jump to conclusions. Blogs are one-dimensional, and reading this does not a relationship make. We put it out there, we don't consider reading it without commenting "stalking", we know many readers prefer to remain anonymous. But I'd like to think most people realize that even by reading fairly personal and honest things on the internet, it doesn't mean you know the writer's heart or tone or intent. It doesn't mean we write about everything. All of us are more complicated than a single tweet or blog post can adequately express. That dude was way off. He took it upon himself to be offended for all of America that we'd rather be in Haiti. I have no idea why he is offended, but it is not the first or last thing that has stirred up offense over the years. Wanting to go back is not a statement about America, it is a statement about where we feel and believe we are "called" (dislike that word - it sounds uber holy and like we got some sort of instruction from God written in the clouds - we didn't) to be and where we felt content. Living there- in some small way it feels like love. In many large ways it feels like learning. Who doesn't want to love and learn? I don't hate America. Not by any stretch of the imagination. The contrasts stir up many unanswerable questions in my soul - but I love both places for different reasons. Tonight I enjoyed a long walk with my two youngest girls in a stroller and Troy at my side. That has never happened in Port au Prince. Of course I love many things about both countries. As Troy preps to get on an airplane early Wednesday morning to head home, Paige and I are fighting off "TR" as best we can. We had hoped TR did not extend to our own family/loved ones, but we think maybe it does. ("The resentment" - also known simply as "T.R." This is the deep and somewhat irrational dislike for anyone who gets to be in Haiti right now.) We've asked Troy to make tweeting and blogging a high priority ... if he won't do it for you, that he'll do it for *us* - so that way we can live vicariously through him. I'm counting on him! I am also counting on him to hug Jeronne very tightly and tell her how much I care about her and miss her right now. I just finished reading, "Following Jesus Through the Eye of the Needle" by Kent Annan. 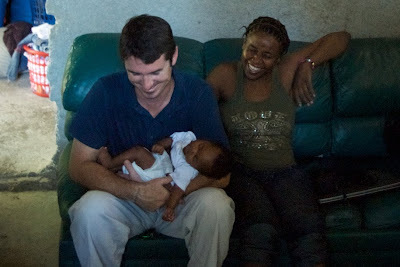 He works in Haiti and lived in-country for a couple of years. I liked it a lot, especially because he struggles with all the questions we struggle with but does not pretend there are easy or clear answers. Simplifying any of it to some "this is how to live" or "this is how to help" formula is both condescending and false. He never does that. He wrestles with it and he comes up with ideas and hunches but mostly just questions and a desire to keep digging and keep trying. I read on his publishers site that re-printing 200 words is okay. "Love means to love that which is unloveable, or it is no virtue at all; forgiving means to pardon the unpardonable, or it is no virtue at all; faith means believing the unbelievable, or it is no virtue at all; and to hope means hoping when things are hopeless, or it is no virtue at all." We hope you're with people you love as you celebrate the resurrection of Christ and all that means to each of us. We're thankful for forgiveness and hope. We're experiencing our first Easter all-together state-side since 2005. On the way to the Easter egg hunt on Saturday Troy shared the obligatory lecture about with the kids about the commercialism of the celebration as he tried to convince the kids that eggs hidden in fields and giant white rabbits are not really related at all to the crucified and risen Christ. I'm pretty sure to them it was a lot like listening to Charlie Brown's mom ... waa waahhh waaa wahh waaa. I give him an E for effort though. Our Port au Prince Easter celebrations did not require such a lecture - no giant community organized egg hunts or chocolate bunnies in PAP. Troy is preparing to return home on Wednesday. We're more happy for him than we are jealous ... but still a little bit jealous. A few weeks ago we learned that we were not the only displaced missionary-type people in the teeming metropolis of Waco, Tejas. That was pretty surprising. 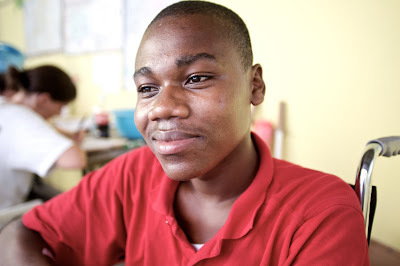 Another man who has lived in Haiti the last four years now finds himself healing in Waco. At the time it seemed too soon to try to contact the person based on the horrible loss he'd just suffered, and our position as total strangers to him. I made a mental note to try to find him later. Last Thursday I woke up with him heavy on my heart and confirmed his email address with the friend who told me he was in Waco. I fired off an email asking if he would have any interest in meeting for dinner. Later that day around 3pm our son-in-law called to say a man had left a note at the YMCA (where our SIL works) asking to get in touch with us and could Chris pass that message to us. Come to find out we were looking for him, the same time he was looking for us and God matched our timing exactly to the day, and even down to the same hours. Tonight we met with him for dinner. He shared his January 12, 2010 story. He spoke of the feeling of riding a building as it went down to the ground. He talked about being trapped and helpless and waiting on rescue. He talked about the silence right after the earthquake, the eerie silence. Mostly he talked about losing the love of his life, his wife of multiple decades, his princess. He shared memories and stories and the love and adoration in his voice brought tears. Like so many others, he is grieving what he lost, thankful for what he still has, and trying to find a way back home, back to Haiti. 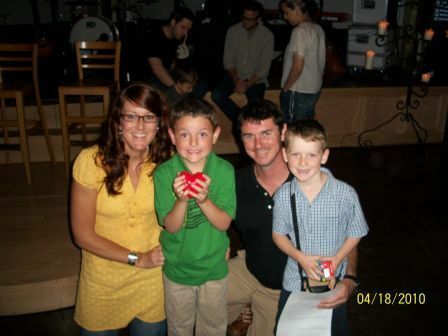 Please pray for J. and others like him who grieve the loss of their precious spouses. We were more than blessed to meet this gentle and kind man tonight. I have been asked to post this request to help our field hospital find a neurosurgeon for one of our patients. Amanda, a 22 year old young woman living at the Heartline Field Hospital in Port au Prince, Haiti, was crushed when her neighbor’s house collapsed into hers in the Haiti earthquake on 12 January 2010. She has multiple injuries, including a severe nerve (brachial plexus) injury which causes her to live in incapacitating pain. There are no specialists in Haiti who can perform this repair. We are seeking help to get Amanda to the United States (or elsewhere) to a neurosurgeon/ brachial plexus specialist, in a last hope effort to resolve this young woman’s incapacitating pain. If you know any orthopedists or neurosurgeons, please share Amanda’s story with them, and see if they know anyone who might be able to help Amanda. We are asking that the surgeon and treating hospital donate their services. If and when a surgical team is identified, we will also need financial donations to pay for Amanda’s medevac to the United States, and her room and board while she is there. Amanda has a passport, which will facilitate her travel out of the country. 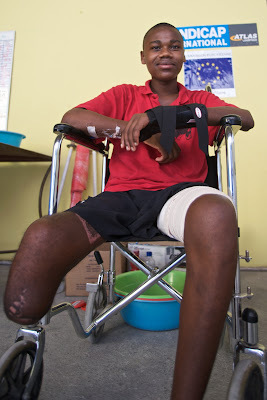 On the evening of 12 January 2010, young Amanda was standing in her mother’s kitchen outside of Port au Prince. When the earthquake hit, her neighbor’s house came crashing down into hers, trapping Amanda under its crushing weight. Her neighbor – Amanda’s best friend – was killed instantaneously. Earthquake survivors describe the shaking and grinding of the earth on that day as horrific and surreal; many believed the world was coming to an end. In the minutes after the large quake, neighborhoods were filled with the sounds of thousands of screams – some crying out in pain, others calling desperately for their crushed loved ones. The sound of screaming echoed eerily and incessantly into the dark night, through the near and distant neighborhoods; they could reportedly be heard for miles. 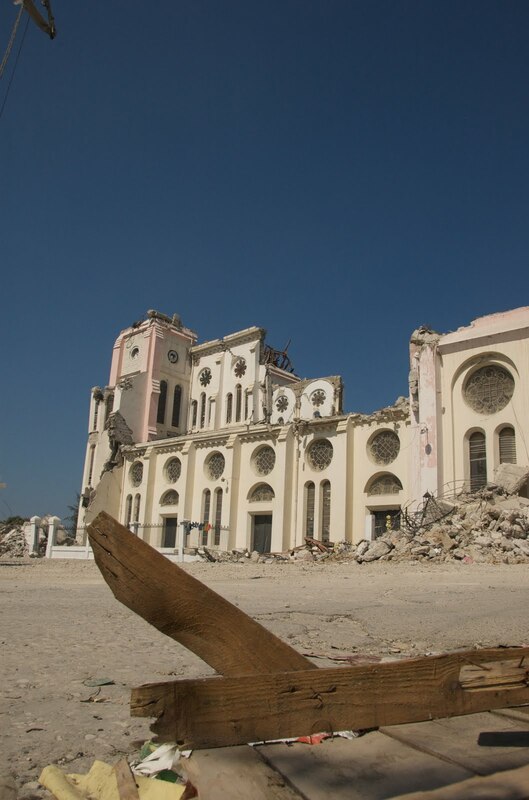 One in every ten people in Port au Prince and the outlying communities was killed in the earthquake that shook for less than one minute. Amanda’s screams of pain were heard by neighbors, who worked aggressively through severe aftershocks to free her from the concrete and rebar rubble which pinned her. When she was finally rescued, it was evident that her life was in danger. Her left arm and femur were crushed – both exquisitely painful, with large open wounds; the latter – her deformed femur -- was potentially life threatening. In the United States, such severe injuries would get Amanda life-flighted by helicopter to the nearest trauma center for emergency surgery. In Haiti in the week following the earthquake, Amanda was one of more than 100,000 severely injured individuals desperate – and unable – to find care. Imagine if this were your daughter, your sister, or your friend. And you are desperately trying to find her care. You drive first to your local hospital – which is absolutely overwhelmed. She is there for two days, and receives an IV, but no pain medications and no orthopedic care. 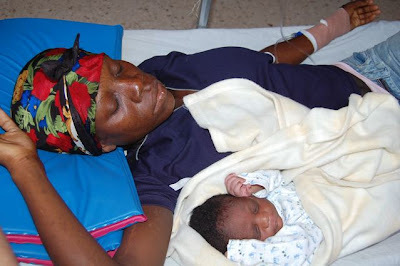 She is in agony, with a deformed femur and an open fracture of her arm. You become desperate; you decide to drive her to the city. Certainly there, at one of the big hospitals, she will receive help. But many of the big hospitals, you soon discover -- to your horror -- have been destroyed. You find one – hospital number two – and take her there. After a day, she again receives no care. You drag her unsplinted, broken form in search of a rumored orthopedic field hospital. You cannot find it, so you sleep with her in the streets, cradling her crying form through the night in your arms. In the morning, you take her to hospital number three. No care. You search again for the rumored field hospital and finally move her again – still unsplinted, still without pain medication, to hospital number four. 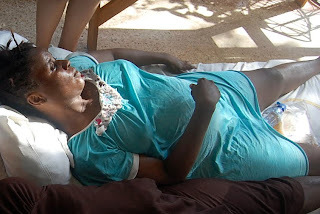 There, she is loaded into a truck and convoyed across the countryside – still without pain medication and still unsplinted, every jolt on the country highway causing exquisite bone on bone grinding – to the Dominican Republic, the country east of Haiti, to hospital number five. There she finally sees an orthopedist, who places a metallic external fixator into the shattered bones of her left femur and a metal rod to stabilize the open fracture of her upper left arm. There they discover that her left arm is paralyzed, yet in the cruel irony that is severe nerve injury, her arm is not numb, but instead burning with severe, intractable nerve pain. And she develops a severe infection at the surgical site of her left arm. You meet a representative of another field hospital located back in Haiti, that has orthopedists and plastic surgeons, and can manage her open wounds and infections. So, you truck young Amanda, once again, over the bumpy rural highway, back to Port au Prince, the city from which you started, to hospital number six -- Merlin Field Hospital. There, in a collection of canvas tents on an old tennis court, European physicians place skin grafts over her open wounds of her left leg, and further manage her infection. You discover that they, too, are overwhelmed with patients, and recommend transferring her to hospital number seven – Heartline Field Hospital – for pain and infection management and rehabilitation. At Heartline, it becomes obvious that the nerve pain in her arm is severe and unremitting; so she is transferred temporarily to Miami Field Hospital – hospital number eight -- where an anesthesiologist places a temporary catheter into her chest through which pain medication can be infused to blunt the nerve pain in her now non-functional left arm. This is a time intensive infusion, done over 30 minutes three times a day. She is then transferred back to Heartline for regular care and rehab; there, her pain management catheter is found to be ineffective. Her unremitting pain continues. Imagine this is your sister, your daughter, your friend. The agony of her journey. The agony of months of intractable pain. The overwhelming hopelessness. While Amanda’s femur is slowly healing, her arm pain remains severe. The unfair irony of Amanda's arm injury -- a probable stretch or tear of the brachial plexus -- is that although the nerves to her arm now fail to function, and it hangs limp and unusable at her side, she is plagued not with arm numbness, but with severe, incessant pain. Nerve pain. Imagine the worst ice cream headache of your life. Or the worst sciatica of your life. Imagine the pain you get when the dentist pokes his metal hook right into that sensitive part of your tooth. Fiery, electrical, intolerable pain. That is nerve pain. Now, imagine living with that constant pain, with no hope for relief. This is Amanda’s burden. Some have proposed an amputation of her arm. The problem with this solution is the arm can be removed, but the nerve pain -- coming from higher up, near her neck -- will persist. After such disfiguring surgery, she would still feel severe, phantom pain into the tips of her fingers -- even if her arm were no longer there. There is a possible surgical intervention for Amanda. But there is no one in Haiti trained to perform it. There are a few specialists in the United States who can. But the clock is ticking. The farther she gets from the injury, the less likely the injury can be successfully repaired. And the more likely this young 20 year old woman will live with ongoing, devastating pain. As one orthopedist bluntly put it, "This injury will not kill her. But suicide, from the ongoing, unremitting pain, could." Please help Amanda. We need to find her a surgeon. And we need the funding to get her to the United States, and support her while she is there. If you can help in any way – be it a donation, an offer of housing or transportation, or a medical contact, please contact Heartline Ministries at helphaitiamanda@yahoo.com. Together, we believe the Heartline Field Hospital community and contacts can come together to find Amanda a final solution – at hospital number nine. We will keep you informed of our progress to find Amanda care. Please forward this request on to anyone you feel might help with Amanda’s case.